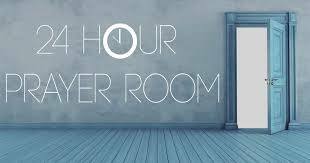 We will be hosting another 24 Hour Prayer Burn starting Friday, March 22nd @ 6 pm in the upstairs Chapel. We want to keep the Fire going! We would like to have as much live worship as possible. If you know how to do that with an instrument, please let us know! Sign up for a time slot, starting at 6 pm on Friday, March 22nd. This entry was posted in Community Events, Ongoing Events, Upcoming Events. Bookmark the permalink.